A new record was set this week at Baylor University Medical Center Dallas when a baby boom hit Tuesday morning. Over a 48 hour period, doctors and nurses delivered 42 babies. “We’ve had a ton of people come in in active labor. 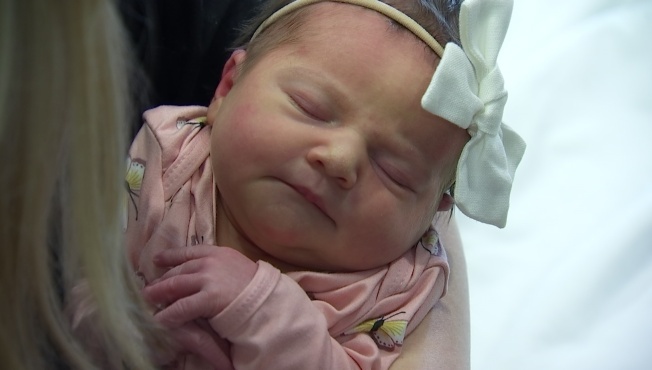 Some come in for inductions and some come in at 10 centimeters ready to have a baby, and it’s just been crazy,” said chief-resident Shannon Miller. Within hours, nearly all of the rooms were full. Residents kept moving, sometimes even running room to room. “We’re like what’s going on? Everyone around here’s going into labor. Someone said, ‘Ok. We’ve got a patient here who’s seven centimeters.’ And I said, ‘Yeah. I just checked her in.’ And they said, ‘No. This is a different one,'” said first-year resident Dana Potter. By Wednesday afternoon, more mothers were arriving. It all culminated around 4 p.m. when resident Jenny Uremovich, who was running the board, noticed nine patients were ready to deliver at one time. Those nine babies were delivered in just 40 minutes. And by the end of the day, history had been made with 42 deliveries over 48 hours, in a hospital that averages 12 a day. “You realize how much coordination is required among all staff members. Whether it be resident physicians, attending physicians, the nurses, the people that clean the rooms so that patients can continue to move in, it’s just a really smooth orchestra that took place in the last 48 hours,” said third-year resident Emily Spurgin. As they got a chance to recover from the excitement and sheer exhaustion, the question of ‘why’ started to come up. What happened nine months ago to result in a baby boom? “I don’t know. We’ve thrown out a couple of ideas amongst the residents,” said Spurgin. “I think I’ll have to go with the natural disaster or something going on nine months ago,” said Potter. After all, it’s been about nine months since both Hurricane Harvey and Hurricane Maria ravaged American soil. “When there’s emotional events; when there’s news and stories like 9/11; or natural disasters and other things, then typically around 9 or 10 months later we get a baby boom. I don’t know if it’s just families looking at what’s important and reevaluating life. We’ve just kind of had that cycle for years,” said nurse manager of labor and delivery Kristine Debuty. In Debuty’s 24-year career, she’s never seen a boom like this one. That is why she is calling this week’s newborns the Baylor 42, as they take their place in the hospital’s history.